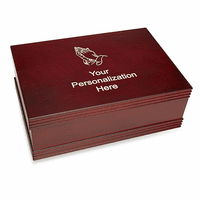 Dad will love displaying this keepsake box on his desk at home or in his office at work! 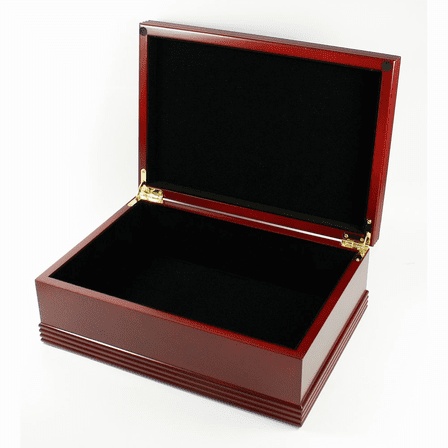 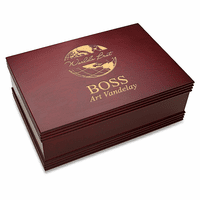 The rosewood-finished box has a hinged lid, and is lined in luxurious black velour. It is the perfect size to hold stationery, small desk items, photos, or treasures.The box cover features our World's Best Dad design, with his full name laser-engraved below, available at no extra charge! 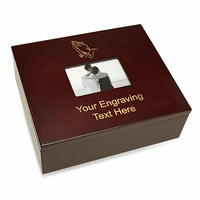 The keepsake box comes packaged in a gift box, ready for any special occasion!